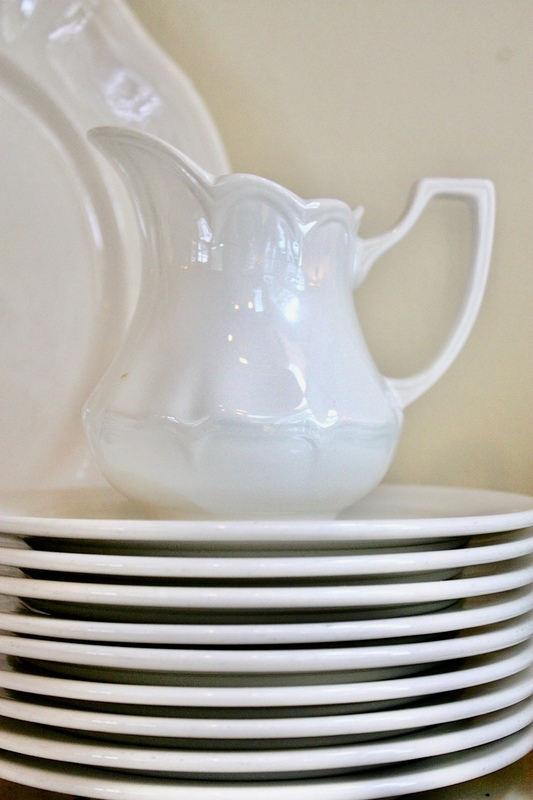 Thrifting for vintage white glass dishes is one of my favorite things. In fact I feel like I need to build another closet just to hold them all. 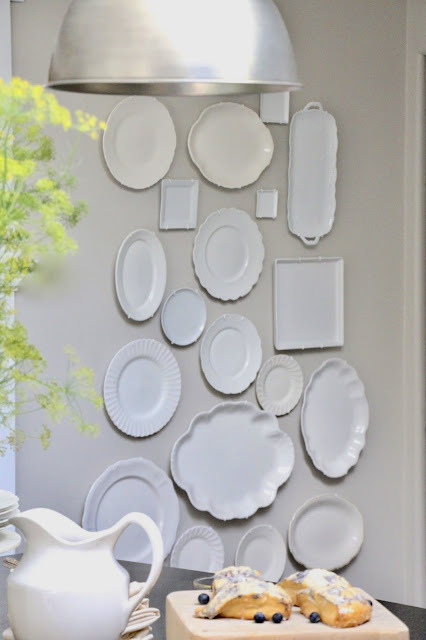 This wall of white platters and plates was a favorite of mine in our kitchen. When I go to thrift stores and look for vintage white glass dishes, I not only look for vintage, but new as well. If it's white, it will work! Old and new mix so well together. Look for interesting shapes and sizes. Here are some photos I took while I was out thrifting. 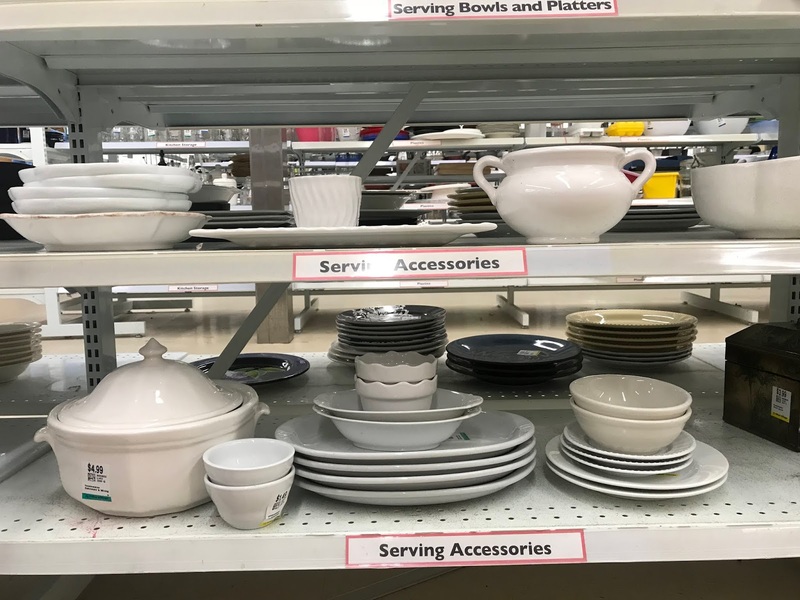 Notice how many white dishes are typically on the shelves of these stores! 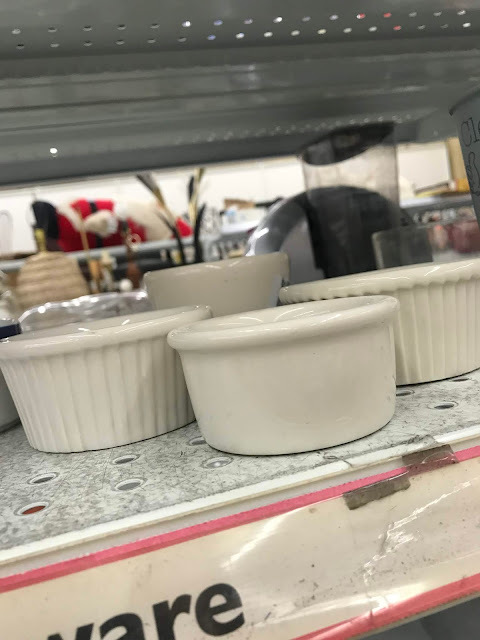 There always seems to be these little ramekins. They are great for creme brûlée, applesauce, condiments, and more. 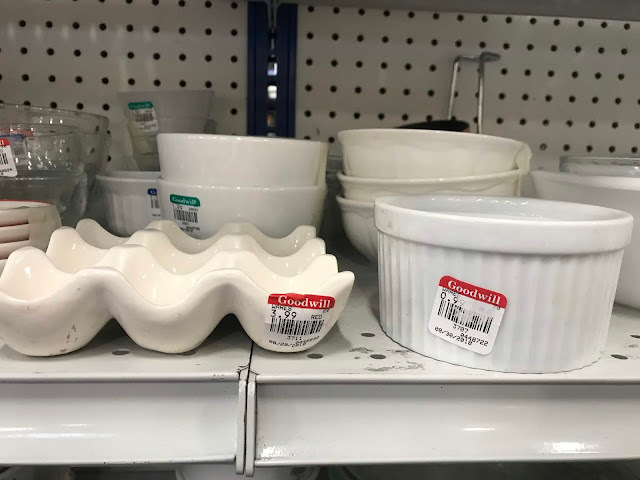 This porcelain egg crate is almost three times the price at Sur La Table. Some dishes come in sets. I prefer to have my dishes all mixed up but if you are buying in bulk, this is a good way to go. Think about when you are having dinner parties, or guests over. No matter what the size, shape, or brand, white dishes always look good together. 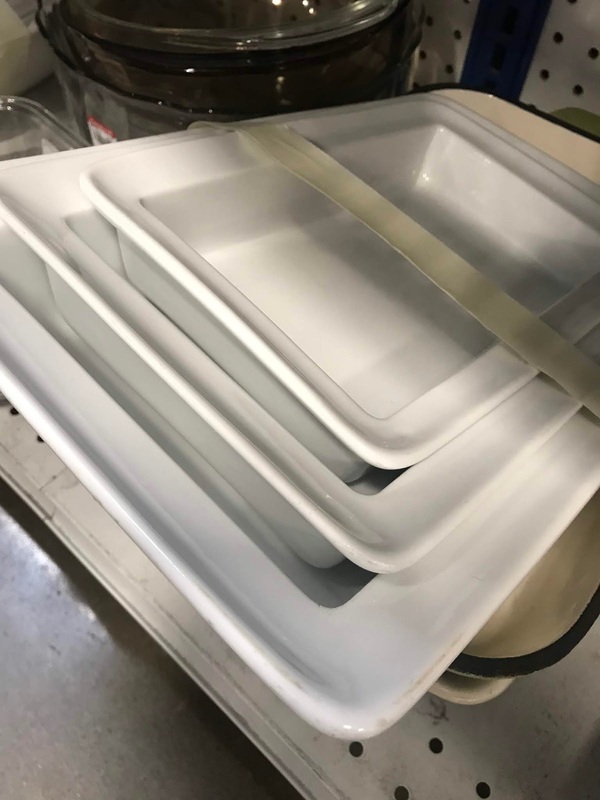 This set of casserole dishes should have come home with me. I might just have to go back. Definitely look in all sections of the store. As you can see below, there are some great platters and trays in the "serving accessories" isle. 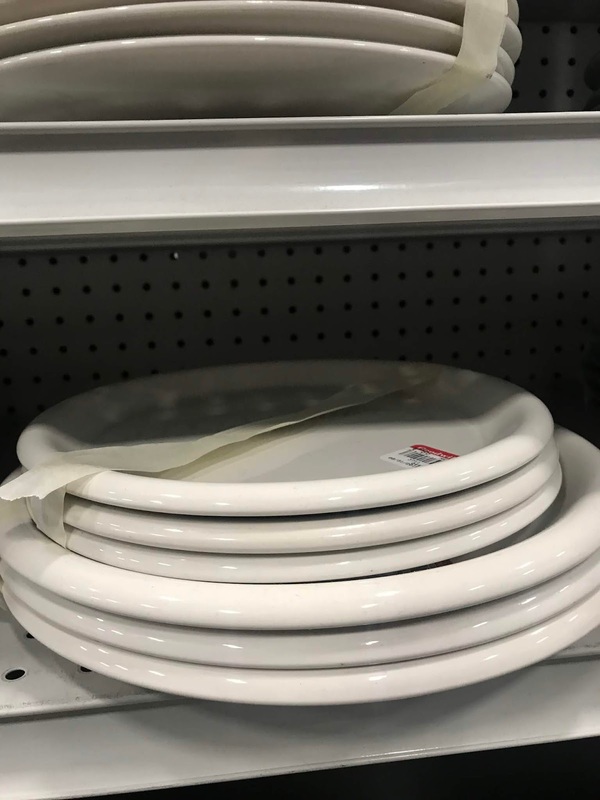 Also, thrift stores often have things out of place, so quickly browsing each aisle will ensure you don't leave anything behind. I have a vision of Savannah's wedding one day having mix matched white dishes for all her guests. So as you can see, I am always adding to my collection, even if it has to sit in storage for now. 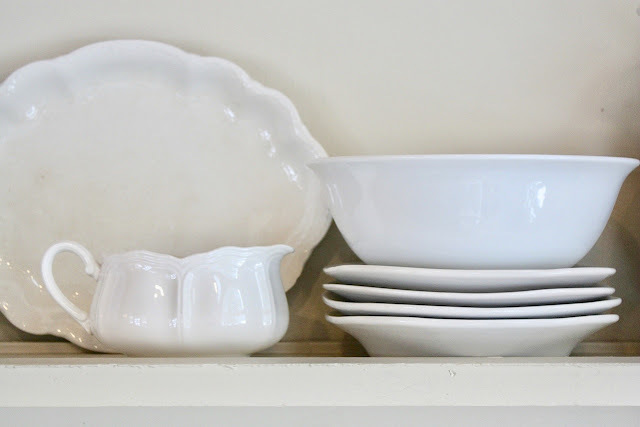 If you don't have time to go thrifting, Etsy is a great source to score some good vintage white glass dishes.